I decided to take myself outside, brave the bitter cold and go treasure hunting. I'm drawn to children's things for sure. This little cutie cost $5 and now I just need to find/make a little doll to sit in it. I couldn't pass this darling lamb planter up. I have a friend who loves lambs and even though she knows it will be coming her way at some point I wanted to share it with you first. An $8 find. I love the blue. 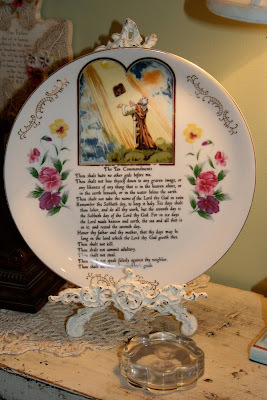 I had just done the post on my scripture plates and look what I found! $4.50 spent on an addition to my collection. Isn't it pretty? I couldn't get past the smocking on this little number. It looks like it has never been worn. I remember my baby who's now 15 wearing precious dresses like this. Oh the sweetness of the memory. I hope you enjoy your Saturday and can get out and enjoy yourself no matter the weather! Renee: Thanks for following along with my blog. Love your finds posted here; I'd have bought that same things! 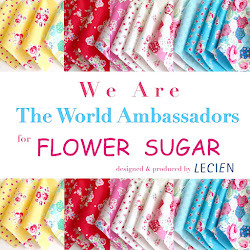 Looking forward to reading more from you. Wonderful finds there. I love the high chair. 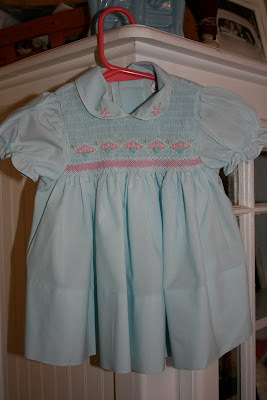 The smocked dress is beautiful. Have a wonderful Saturday as well. You always find the cutest things! You definitely have an eye for treasures! Did you go on a tresure hunt without me? 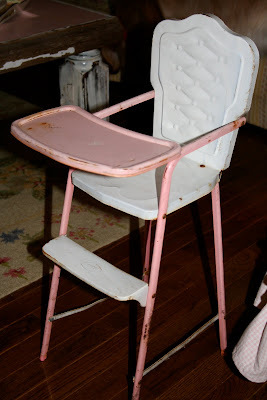 your blog is adorable....and I LOVE that chair!